Clinicians can get a "simultaneous consult" about their patient's diagnosis using SimulConsult®'s diagnostic decision support software. Using SimulConsult “Classic,” the free version of the diagnostic decision support platform released initially in 2006, medical professionals can enter patient findings (symptoms, signs and test results) into the software and get an initial differential diagnosis and suggestions about other useful findings, including tests, to add. The database used by the software has > 4,900 diagnoses, most complete for genetics, neurology and pediatric rheumatology, all difficult diagnostic specialties. It includes all genes with described human diseases in Online Mendelian Inheritance in Man (OMIM) and all diseases in GeneReviews. The information about diseases is entered by clinicians, referenced to the literature and peer-reviewed by experts. The software takes into account pertinent negatives, temporal information, and cost of tests, information ignored in other diagnostic approaches. It transforms medical diagnosis by lowering costs, reducing errors and eliminating the medical diagnostic odysseys experienced by far too many patients and their families. The product is used by specialists in 100 countries. SimulConsult is currently developing and testing an enterprise and individual version of the platform that is integrated with electronic health records, including Epic and Cerner. Doing so will save clinicians considerable time in documentation and in time spent communicating with labs and specialists. SimulConsult® also has products to help laboratories in diagnostic interpretation. Using the “genome-phenome analyzer" diagnostic decision support, a lab can combine a genome variant table with phenotypic data supplied by the referring clinician, thereby using the full power of genome + phenome to arrive at a diagnosis in seconds. An innovative measure of pertinence of genes focuses attention on the genes accounting for the clinical picture, even if more than one gene is involved. The referring clinician can use the results in the free phenome version of the software, for example adding information from confirmatory tests or adding new findings that develop over time. 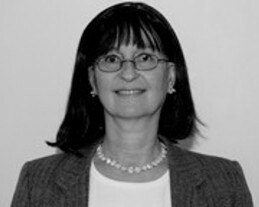 Lynn K. Feldman is the Chief Executive Officer. The author of “Managing the Cost of Diagnosis” published in Managed Care, Lynn assumed the role of CEO after some years as an angel investor in the company. Lynn brings significant sales and marketing experience, including as president and a founding partner of a startup in one-to-one marketing and as a senior vice president at Digitas, managing interactive marketing relationships and strategy development across a range of industries. Lynn spent a decade at the Boston Consulting Group as a member of the Health Care practice focusing on payors and hospitals. She received her M.B.A and BA from Harvard University. CEOCFO: Ms. Feldman, what is the concept for SimulConsult®? Ms. Feldman: SimulConsult®; the name of the company is short for a simultaneous consult. A consult is when one doctor asks another for a second opinion. Therefore, SimulConsult® is diagnostic decision support software that helps clinicians with diagnosis of rare diseases or uncommon presentations of more common conditions and helps labs interpret tests for those patients. CEOCFO: How does it work on a practical basis? Does a doctor subscribe to the service? Are they able to tap in when they are ready to take a look? What is the program? Ms. Feldman: In the US we spend almost six billion dollars a year diagnosing rare diseases. Although rare diseases are by definition individually rare, there are so many of them that eight percent of the population has rare diseases. Therefore, there are several hundred thousand such diagnoses made each year and the cost to diagnose these patients is quite high; it is over eighteen thousand dollars on average per patient, with some the cost to diagnose some patients’ measured in hundreds of thousands. The average time to diagnosis is three years. During that time there is a lot of testing, often unnecessary testing and treatments for diseases that the patient does not have. In fact, roughly 40 percent of patients with a rare disease have had a wrong diagnosis. We improve all of that. We lower the cost and improve the accuracy of diagnosing these difficult to diagnose diseases and their common counterparts. For example, if you are thinking about multiple sclerosis you also need to be thinking about Lyme disease. While many of these diseases are first observed in childhood, at least twenty-five percent of the diseases have adult onset. We think we can save the US at least 1.2 billion dollars through use of this software. It is in use today by many specialists in the United States. We released a free version back in 2006 as we built our database. We now have commercial versions for both health systems and laboratories. CEOCFO: How have you compiled all the necessary data? Ms. Feldman: That is a great question! We do two things. First, we pay people to systematically review the peer-reviewed literature specialty by specialty. The people that we pay are typically young specialists in the field. Then we have it edited by sub-specialists in the time-honored manner of peer review, so that it is very, very high quality. Every single bit of data is graded for its quality; we will accept an estimate from a subspecialist – particularly for facts that have never been published. The best data about the frequency and onset of individual findings in a disease drawn from a research studies. Every fact is also referenced to the source. All of the data is visible to the user, so it is possible for a clinician to assess the quality of the data when making a diagnostic decision. The second way we compile data is that users send us suggested changes. Rare diseases by definition are rare, so studies are less frequent than for common diseases; however, as studies are done, we upgrade the data, either through our systematic process or by users contributing suggestions for change. Both types of contributions go through a peer review process before being released to subscribers. CEOCFO: How long did it take to accumulate the basic data? Ms. Feldman: It has taken a while. However, it gets easier to add new diseases in an area where there are already many diseases defined. We will probably have added or significantly upgraded somewhere between fifteen hundred and twenty-five hundred diseases this year. We have roughly five thousand diseases right now. I know that we have about one hundred thousand individual findings in specific diseases. Doctors use the word findings to encompass symptoms, signs and test results. For each disease, we probably have an average of twenty five findings and for each one of those findings we probably have ten pieces of data. Therefore, the database has roughly one to one-and-a-half million pieces of data. It has taken probably the better part of eight years to reach this point. CEOCFO: How do you keep up? Ms. Feldman: We have regular staff for the systematic curation. All of them are practicing clinicians, so none of them are full time employees. We follow the standard in the industry established by UpToDate® and it’s founder, Dr. Bud Rose, namely that you must have practicing clinicians involved in this. It is what is done with all of the peer review journal articles also, because those are the people who really know. Therefore, all of our clinicians, contributors and editors are also seeing patients. CEOCFO: Where did the impetus to do this come from? Ms. Feldman: Clinicians have asked for help with difficult diagnoses for a long time. Fifty years ago there were only about five hundred known diagnoses. For example, if you had a seizure it was “epilepsy”, by definition. What research has done over those five decades has been to peel off many diseases with seizures as a finding, for example, where we know the underlying genetic or non-genetic cause. Each piece of research helped us understand one little subgroup. Over time, we went from one entity called epilepsy to over eight hundred known seizure disorders. What is left is called “idiopathic epilepsy” or epilepsy of unknown origin. As each disease is peeled off, what is left in the common bucket gets smaller and the count of rare diseases climbs. This has been going on for fifty years and with the lower cost of whole exome and whole genome testing, this process will accelerate. We can expect that more and more diagnoses will be rare diseases. Clinicians saw this coming and understood that they wanted diagnostic decision support. Unfortunately, the first efforts to do it were all technologically flawed in some fashion or another; even now there are efforts that have much less accuracy and do not lower the cost of reaching a diagnosis. Also, they were not very efficient, so they wasted clinician time. SimulConsult was the first to “take the hill”. We have had done research funded by the National Institutes of Health (NIH) that have shown the efficacy of the software. The impetus, to go back to your original question, was that our founder, Dr Michael Segal, was in training in pediatric neurology at Columbia Medical School in pediatric neurology and he found that it was already a problem remembering everything that was known then. Therefore, he thought he would write some software. He went to one of his advisors, Dr Kwame Yaboa, who is a geneticist at Columbia and said, “I am thinking about doing this, what do you think.” And Dr. Yaboa said, “The March of Dimes just spent millions dollars (this is in the 1970s) trying to do this and it does not work, but here is my password. You can go look at it.” Millions of dollars was a lot of money back then. It is even a lot of money now! Dr Segal came back and said, “You are absolutely right, it definitely does not work. However, Dr. Yaboa, you do this every day! What do you do?” That is where we started. Dr. Segal wrote the first prototype of how Dr. Yaboa actually does his diagnosis. Then there was some interest by venture capitalists. However, as Dr. Segal looked around he said, “No doctors have computers.” Therefore, he put the project aside and joined the faculty of Harvard Medical School. There he saw patients and did research in epilepsy. Eventually, with the introduction of the Internet and with the encouragement of one of the leaders in informatics, Dr Isaac Kohane, Dr. Segal decided to refocus on this effort. He rewrote the software to be accessible from the web. Dr. Segal started on it part time and eventually moved to full time and the product was released in 2006. However, at that point it had a very narrow database in a particular area of pediatric neurology that everyone agreed was difficult. So difficult, people were willing to use even those early versions. Since then we have developed greater accuracy and ability to lower costs and broadened the specialties covered. Ms. Feldman: The version that we released in 2006 was free and thousands of users adopted us and used us regularly for diagnostic dilemmas. In a study funded by the NIH, we found that doctors make errors more often then they know that they have a dilemma. Some of the time they say, “Boy, am I stuck. Quick, get out my favorite resources and let me see what else I should be thinking about.” Often they are unaware that they are not considering unfamiliar diseases and as a result, they are not using the most efficient testing protocol. What we have discovered is, on more complex cases the error rate by both senior and junior clinicians is fifty percent. By an error, I mean that the clinicians were not considering either the disease or its category that the patient actually had in a confirmed diagnosis. Of course, it is hard to consider a disease you have never seen or read about. However, the software has all the data, so by using it the clinician can do better. What we were able to demonstrate is that we could eliminate ninety-seven percent of those errors, by helping them to consider diseases with which they were unfamiliar or which had an unfamiliar presentation. Because we improved what they were considering we could improve their plan for testing. Then, because we can actually consider cost and treatability and other factors that you need in deciding which tests to order, we could actually prioritize the tests so that they are most likely to order the most cost effective, most clinically useful test for that patient. That is how we improve accuracy and we lower costs. Therefore, many of the clinicians are already users of our software; actually a pretty high percentage, for diagnostic dilemmas. Now, we are converting them to daily users with our commercial software integrated into the electronic health record. They need that integration because otherwise they are unable to save the results of a SimulConsult session and it results in duplicative effort. What the clinicians told us was, “if there was some way of integrating this with the electronic health record so that it would be savable within the patients notes and in other ways, then we will use it all of the time and that would improve quality when we do not know that we have a dilemma.” Therefore, that is what we are doing now. We are implementing it in two major health systems. We have a third that has raised its hand and said, “We are quite interested in considering this.” At all of those institutions we have many people who are already using it for diagnostic dilemma, so it was not hard to convince the clinicians to consider adoption. CEOCFO: Other than potential cost, how could you not want to use it? Ms. Feldman: Clinicians get paid by the hour, more or less. That is all they have to sell; time. Therefore, anything that adds time is problematic. What we have figured out is that if we implement it in certain ways for the clinician we save them time. It is shorter to use us than not to use us. We do that by basically automating tasks for which they do not get paid, in particular documentation related tasks, so that they have more time to see patients for which they do get paid. Time is basically the biggest barrier. When Digitas pioneered the first online catalog about 15 years ago for LL Bean, at its release sixty-five percent of people abandoned their cart before completing the transaction. The Digitas team spent a year moving buttons, fixing dead-end alleys, making sure that every button and number worked, etc. until abandonment plummeted to the normal level of maybe twelve percent where people say, “Oh well, that was interesting; let me go see what Lands End has.” This is always the task in work flow software. You actually have to grind out each one of those little things, understand exactly what the clinician is trying to do, how this helps them document, what standard terminology will help and when it may hinder, how to implement in a way that speeds prior authorization for expensive tests where they have to get the payer to authorize it before they can order the tests, how they support sending the tests to the lab, how the lab can use this to give better information back to the clinician and how to facilitate that dialog. What we are doing right now is a series of iterations where we keep improving that work flow, so that it is better and better. Much of medical documentation driven by billing, not by what clinicians need in the way of information to communicate with each other. What is interesting about our software is it helps with both. CEOCFO: Development is always costly. Are you funded to continue? Will you be seeking partnerships or funding as you continue to grow the product? Ms. Feldman: We had one round of outside capital, a very friendly “friends and family” convertible debt issue, which has not converted. Since then we have been entirely funded by small business innovation research grants and other NIH research grants, of which we have had two and one quarter million so far, with more pending. In addition, we have a growing base of commercial revenue. CEOCFO: Why does SimulConsult® stand out for investors and people in the business community? Ms. Feldman: We are the company that is going to solve the rare disease diagnosis problem, and getting the right diagnosis for these high cost patients holds the promise of bringing down the total cost of care. Right now, the U.S. spends about six billion dollars annually diagnosing these patients and SimulConsult’s diagnostic decision support can save over a billion off that, by improving the accuracy of diagnosis and lowering the costs of testing, and avoiding unnecessary treatments due to diagnostic errors. We have been seen as “the key resource” by the NIH, by a number of their resources that link to us and that have incorporated us. We have multiple studies that show that the measures of accuracy are very, very high in what we do. More than that, areas that are seen as “common diseases” like adult cardiology are beginning to go through the same transition experienced in epilepsy. Eventually most diagnosis will be personal and of something relatively uncommon. When that's true, it will account for over 10 percent of all healthcare costs. Therefore, I think that there is really growing acceptance. As the rare disease diagnosis problem gets bigger the need is going to be higher. We have interest in all of the right places to move forward. Change happens slowly in healthcare, but we are working from within the community, getting all of the right things to happen in terms of acceptance, so that it becomes very easy for people to adopt. We think we are ahead of competitors. Our ability to help is unrivaled and the need is there.